Since 2005, FRANK Water has helped over 385,000 people in rural India and Nepal to access safe, clean drinking water, sanitation and hygiene training. And as part of Pieminister’s ongoing partnership with the Bristol-based charity, Pieminister will be giving away their award winning vegetarian Saag Pie-neer pies for free during National Curry Week (22 to 28 October). In return for the pies, customers will be asked to make a donation to the charity’s Karma Korma campaign. 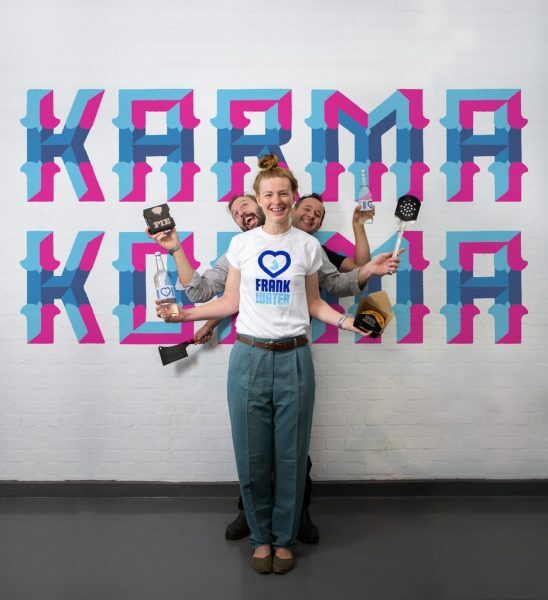 Karma Korma is FRANK Water’s flagship fundraising campaign and the principle is simple: hold a curry feast with friends, family or colleagues and ask guests to make a donation to FRANK Water. FRANK Water is the first UK bottled water company to end single-use plastic bottle production and switch to 100% environmentally sustainable solutions. Profits from their glass-bottled sparkling and still spring water from Devon – available in all of Pieminister’s cafes and restaurants – go towards safe water and sanitation projects in Nepal and India. And for every table to take tap water in Pieminister’s restaurants, a discretionary 75p donation to FRANK Water is added to the bill. The Pieminister x FRANK Water partnership began in May 2018 and since then, Pieminister has raised over £3000 for the charity. This autumn, Pieminister is making it even easier than ever to organise Karma Korma events without even having to cook. Simply pop Pieminister’s meat-free curry pies in the oven and serve, then sit back, relax and enjoy the feast while fundraising for FRANK Water. To reserve free Saag Pie-neer pies (up to a dozen pies per person), simply register here before noon on Wednesday 17 October. Your pies will then be ready to collect from your nearest Pieminister restaurant on Monday 22 October, so you’re ready to celebrate Curry Week while supporting a great cause. All donations should be made direct to FRANK Water. The Saag Pie-neer is one of Pieminister’s multi-award winning meat-free pies. Packed with punchy flavours, it’s filled with delicious chunks of Paneer cheese cooked with garden peas, spinach, potato, chilli and mango.